P36 offers safe and stable workspace to carry out Facade maintenance and repair, Bricklaying, Window installation, external plastering, painting and finishing jobs, Ship building and restoration, Roof restoration, Industrial plants Demolitions etc. We deals in Mast Climbing Platforms. with the support of our well-established infrastructure, we are engaged in offering a wide array of Single Mast Climbing Work Platform to our valued clients. Platform operates on rack and pinion technology. 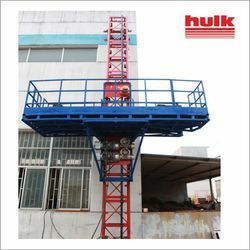 It is best substitute to conventional scaffolding system. Platform offers secure and flexible space for easy and quick movement. Wide range of application includes Aluminium / Glass / Stone Cladding, External Façade, Brick work, Plastering, Chimney maintenance, Shipyard maintenance etc. We are engaged in offering Mast Climber (Rental). These products are made from high-quality components. 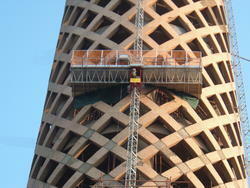 Mast climbing work platforms offer a safe and efficient alternative to traditional scaffolding methodology.